Thanks to our Summer 2015 UBC Practicum Students! Every year, ArtStarts engages with UBC students from the Faculty of Education for a Community Field Experience practicum. The experience is always a great learning opportunity for both parties. 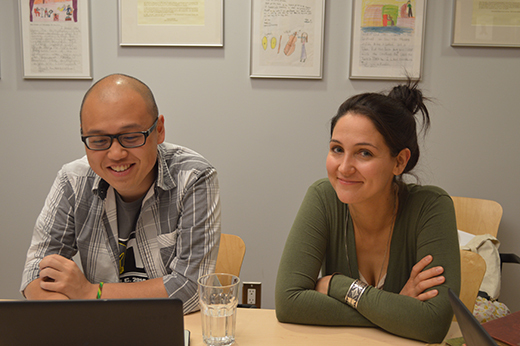 In June, Amy Clausen and Russell Lau, two students in the Elementary educator stream, joined us at ArtStarts to work on two distinct projects. 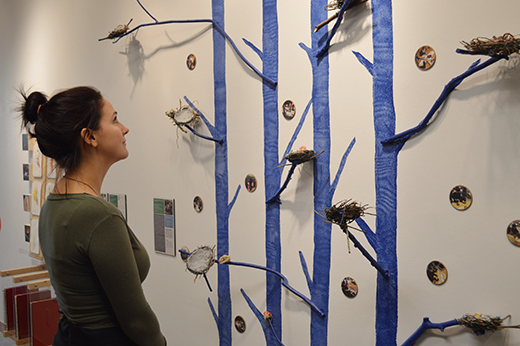 As an artist and previous member of our Artists in the Classroom Directory, Amy brought unique insight and experience to her project. During her three-week practicum at ArtStarts, Amy worked with ArtStarts Grants Manager Sydney Nychuk to identify ways that ArtStarts can better support the needs of artists working in a classroom environment. Amy created a poll which was sent to all artists in the Artists in the Classroom Directory. The goal was to better understand the challenges that artists face, specifically in regards to entering a school and to target her research accordingly. Amy then identified a few key topics where artists expressed the most need for support, and created a set of resources aimed at supporting artists to engage with BC curriculum, plan a residency project and work effectively in a classroom setting. Amy also compiled a helpful list of other web-based organizations and resources for teaching artists. Many of the resources that Amy created will be available on the ArtStarts website soon. 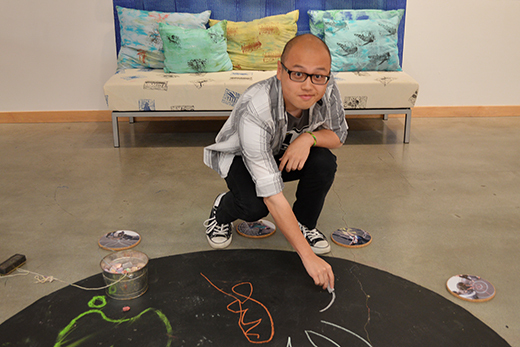 Our other student, Russell Lau, worked with ArtStarts Program Manager Elfred Matining to research organizations with a complementary mission and vision to ArtStarts in Schools. Russell gathered information about the conferences and workshops these organizations presented, as well as their relevant community partners and any notable accomplishments of the organization. Russell also created a poll for K-12 educators with the aim of gaining a better understanding of what they look for in a conference or professional development workshop, specifically related to the arts and arts integration. Russell was able to summarize all of his research into a list of specific recommendations for ArtStarts to use when developing future conferences and workshops. Thanks to Russell, ArtStarts has a greater understanding of what educators are looking for in arts-based offerings, what other similar offerings are out there and how we can contribute to this changing landscape. A huge thank you to Amy and Russell for all their hard work, and we wish them the best in their future teaching careers!